If you're hoping to find subprime mortgage lenders with no closing costs, there is a good chance that your search will not yield many suitable results. Not only are subprime mortgage lenders more difficult to find than they once were, but lenders willing to lend money to borrowers who are considered credit risks will almost always insist on closing costs being paid at the time of closing. Potential borrowers who want to find subprime mortgage lenders with no closing costs have a few options they can explore. There is very little chance that any borrower--subprime or otherwise--will be able to obtain a mortgage loan that does not include closing costs. While some closing costs are unnecessary and can be negotiated (also sometimes referred to as "junk" or "garbage" fees) there is a portion of closing costs that are not negotiable. Some closing fees are intended to pay state, county, or city taxes or to pay other required fees. These closing costs must be paid. The way that many lenders get around this and offer so-called "no closing cost" mortgages is to roll the closing costs into the mortgage loan. 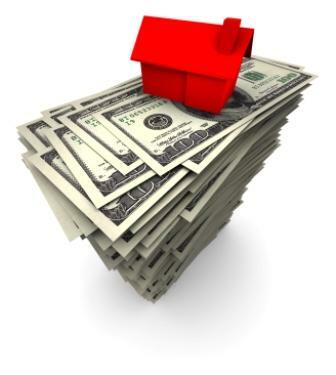 This means that the costs of the closing fees are simply added to the total cost of the mortgage loan. While this solution can substantially decrease the amount of money a buyer has to pay out of pocket when first obtaining the loan, it is important to remember that this option results in costly interest charges on the closing costs. While it may seem appealing to avoid closing costs when purchasing a house by rolling the costs into the loan, the fact is that the closing costs are not avoided by rolling them into the mortgage loan; in fact, the closing costs are increased exponentially when rolled into the loan. In some instances, buyers can negotiate to have a substantial portion of the closing costs paid by the seller. This is something that is agreed upon by both buyer and seller. With certain types of mortgage loans, there is a limit to the percentage of closing costs that can be paid by the seller. Mortgage companies want buyers to initially invest some money into the purchase of a home because this may decrease the odds of the homeowner eventually defaulting on the mortgage loan and winding up in foreclosure. Keep in mind that even if a large portion of the closing costs are paid by the seller, there is still the matter of the down payment that has to be addressed. Subprime mortgage loans are for borrowers who do not qualify for traditional mortgage loans for whatever reason. In most instances, subprime mortgage loans are for applicants who have credit issues, including previous bankruptcies. Borrowers who obtain subprime mortgages can expect to have higher interest rates, higher fees, and less desirable loan terms. Subprime mortgage loans generally do not feature extra perks. Subprime borrowers can typically expect to have a difficult enough time finding a lender willing to approve a mortgage loan, let alone finding a lender who is willing to approve a subprime mortgage loan without any closing costs. To increase the odds of getting approved for a mortgage loan with the lowest closing costs available, shop around with a variety of lenders or obtain the services of a mortgage broker who specializes in subprime loans. Another option is to instead take some time to increase your creditworthiness to qualify for a mortgage loan that does not fall under the category of subprime. It may take some time, but an increase in credit score or down payment may drop the offered mortgage interest rate substantially.